Digital and online learning has been recognized in the European Union as a specific field which is a part of learning process, building competences, habits and skills, especially in the area of long-term education. Besides, it has been recognized as a field with a potential to improve the quality of education and training, which is why digital and online learning was suggested as one of the six topics to be tackled under the Open Method of Coordination in Education and Training. This thematic working group is focused on creating a stimulative and innovative school environment for use of information and communication technologies (ICT) in education and training. The focus of this working group is, inter alia, the development of an analytical framework for assessment of the level of education system and its institutions strengthened for using new technologies in teaching and for creating innovative and stimulating learning environment supported by the new technologies. 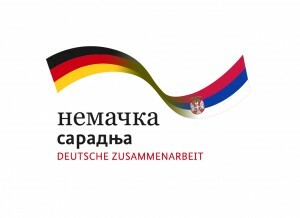 Hence, the main task of the representatives of the Republic of Serbia is to participate at meetings and workshops aimed at exchanging experiences among countries participating in the working group, gathering information about new trends in the field of ICT and best practices, preparation of guidelines for encouragement of creation of innovative learning environments and learning about the research and studies in this area. The elected representatives of the Republic of Serbia in the Open Method of Coordination in Education and Training who participate in this working group are Danijela Šćepanović MA and Mirko Ožegović from the Ministry of Education, Science and Technological Development.